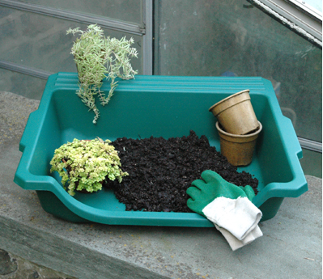 This potting and transplanting tray is excellent to keep your area clean!!!!! Leakproof plastic tray with convenient carrying handles contains soil and water neatly, so you can work anywhere. Handy shelf at back. Cut-away front gives a comfortable working angle.